The insurance companies are raising their deductibles and the average could be as high as $5,000. The patient must meet this deductible amount before their insurance will cover them. If they don’t intend to use more than $5,000 in medical care in a year, it would be less expensive for them to simply pay cash. They usually come into your office knowing that they have a high deductible and yet they seem surprised that their insurance won’t cover their care. It takes a lot of education of the patient to handle their misinformation about insurance and on why they should accept care from you. I’ve educated patients on spinal decompression which is not covered by most insurances. The patient is told that they are not covered before they come into the office. When they arrive, they are shown the spinal decompression machine, allowed to talk to patients who are already receiving it and they are educated with a flip chart that clears up all the terms they probably already heard and misunderstood. 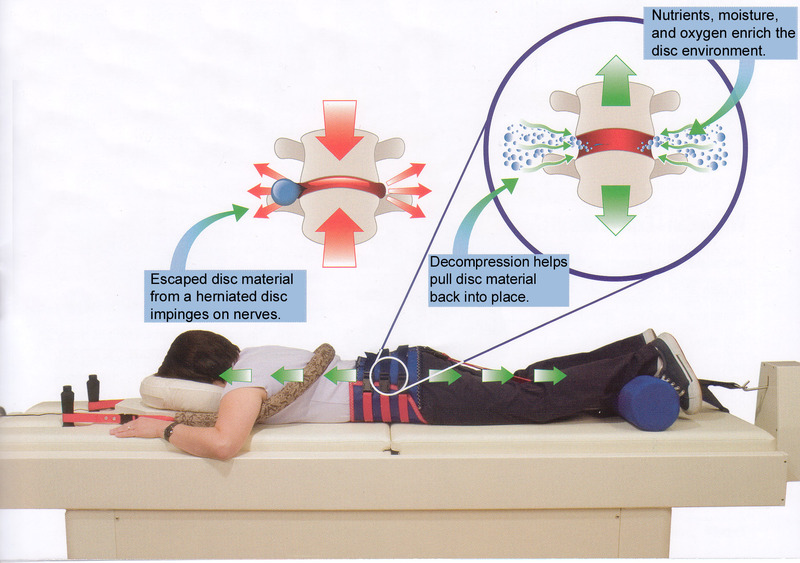 They get a clear picture of the benefits of spinal decompression before the see the Chiropractor or Physical Therapist. They are then asked questions on a thorough medical history so the patient can recall and rediscover all the ways in which they injured themselves. Then a physical examination is done so the patient becomes aware of the extent of their injury. They should at this point be fully aware of their condition and why spinal decompression is the answer. They are obviously there to avoid surgery and this is one of the ways to do so. They are shown their MRI which confirms the need of care. The Chiropractor or Physical Therapist then tells the patient how many treatments they will need based on all the information gathered. Then the patient rep goes over the finances and possible ways of payment using different forms of financing like CareCredit etc. if necessary. The patient then starts immediately on their care. A testimonial is gotten when the patients is out of pain and meets all the criteria set by the attending physician or therapist. 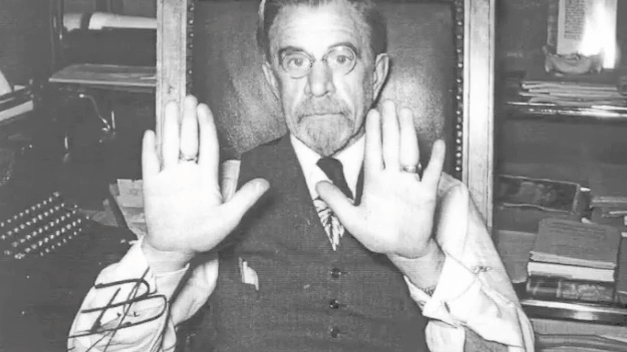 Father received word from Dr. Harriman this a.m. saying he could come out any day this week except Monday and he would show him around the buildings…quite fortunate isn’t he. Business has been very slow here for the last month and father is getting very much discouraged so much so that mama has almost persuaded him to sell out here, take his collection of heads, go to Washington, D.C. and start up a 25 cent museum. How ridiculous when there are zoos of live animals that people can see free of charge!Chicago,Philadelphia,New Yorkare the same way. I think it is a very foolish piece of Business! The facts of the case are that mama has been living high on her fine dresses, “that will make the President look at her etc. etc.” that & the hired help which all costs a pile of money & makes expenses heavy. So he says he is losing $200 monthly. But he says “I have lived since I was 26 with 5 women & this is the best of them all and if I see they want to boss it I just let them do it.” He would do it even if they run him & his business in the ground. Now if you don’t think he is doing the right thing for suffering humanity in quitting the ranks of Chiro to be a museum leader, tell him so when he comes out because he will be sure to broach the subject. It was said that if he got a buyer he would sell his stuff here today & go east tomorrow. Might be good opening for you Oakley. If you wish to write to me do so it will be strictly between you and I or public just as you want. Because I would like to know what you think of this outrage. Most of us enjoy a lie-in, but research from the British Chiropractic Association (BCA) shows that doing just that can bring on back pain. Back pain can be debilitating, but even on a lesser scale it can prevent individuals carrying out day-to-day activities that most of us take for granted, and sleeping is top of the list. • Your bed shouldn’t be too hard or too soft. If you are lying on your side your spine should be parallel to the mattress and the mattress should not sag (bed too soft) or bow (bed too hard). Your pillow should be an extension of this i.e. your neck should be a continuation of the straight spine (not too high not too low). • Hard mattresses are not always best – opt for firm but supportive. It is easier to make a hard mattress soft than a soft mattress hard, so if you your mattress is too hard – add an extra blanket or duvet to give yourself a softer surface to lie on. • Try and adopt a sleeping position which creates less physical stress on the back (e.g. lying on your side is better than lying on your front with your neck twisted to one side!). • Keep moving and avoid being in any one position for too long (no matter how comfy the position initially; the longer you stay in one position the more this will “load joints”). If your partner moves around a lot at nights try separate beds!! Your partner’s movement could aggravate YOUR back condition! • Drink water and keep well hydrated (dehydration can make muscles ache). • Remember to turn your mattress regularly this should be done at least every couple of months and will keep your bed in good condition. • Do not leap out of bed first thing in the morning, take a minute to wake up and try some gentle stretches, such as drawing your knees to your chest or swaying your knees side to side (only do these things if they are comfortable). • Wake up your body – Once up avoid bending or doing anything sudden or strenuous until you back wakes up! • Take your own – if sleeping away from your own bed – take your pillow! Your neck is used to your own pillow and won’t have to adjust as much. • When buying a bed, narrow your choice down to two or three and then spend plenty of time lying on these in your normal sleeping positions. Five or ten minutes should be the minimum for each bed -but feel free to spend half an hour, if that’s what you want to do. • If you are a back pain sufferer, a bigger bed will be of benefit for you and for your partner. Zip and link beds are a good option if firmness preferences differ widely. • Pay attention also to choosing the correct pillow, which must support the neck in alignment with the rest of the spine. Having too many pillows on your bed may thrust the head forward or sideways (depending on your sleeping position); too few may cause the head to tip backwards: both can create a crick in the neck. I asked him to describe the process from time he began a lecture until finished, thinking that might be of interest and help others to duplicate his method. Here is his description:“We deliberate and mentally carve out our fundamental theme around which we desire to build the talk. It might be a new thought, or it could be a symposium of preceding ideas. We then mentally test it for logic and reason to see if it will stand up under the test of time. If it does, we goahead. If it does not, we whip it until it does. Having given an idea birth, we then begin to shape our approach. Conception of a theme is the hardest part we have to go through.” (Let me here interject a description of his typewriter which, like most other things this man works with, is radically different. Years ago, he became disgusted with constantly taking out and putting in ordinary sheets of paper, because it broke his continuity of thought when writing. He suggested to the Remington Company that they build him a special typewriter with a continuous roll of paper five hundred feet long, on a spool on top, automatically fed. He also asked for an electric automatic shift of the carriage, by pressing one key on the keyboard which, at the same time, would shift the paper so he could write by the yard on paper eighteen inches wide. I have seen a continuous writing twelve feet long, eighteen inches wide, single spaced, when he was writing. To his knowledge, this was the first electrically-operated typewriter built, and that was at least twenty years ago. He uses the “hunt and peck” system of two fingers and can type as fast or faster than many stenographers using ten fingers. This unusual and different typewriter is an object of curiosity to visitors and is usually demonstrated by the guide who conducts the daily noon tours through The B. J. Palmer Chiropractic Clinic. )“We then write whatever comes, as it comes, be it good or bad. We keep writing as long as thoughts flow, and they always flow without effort. We may knock out some, much, or all of it later. Much of this may be out of sequence. We keep on until the present line of thinking is exhausted. Then we let it simmer and settle for an hour, hours, days, or weeks. Usually, when building a lecture, it is more or less steadily on our minds, and we are constantly harassed by Innate to keep on keeping on whipping it into shape. Usually, in a few days or a week or two, it is finished for the time being.“Soon a new line of thinking may begin to flow and away goes the typewriter again. We frequently rewrite our copy the second or third time before we get it to say exactly what we mean, before turning it over to our lecture secretary. When the subject has seemingly been completed, we turn it over to the secretary who types it on regular size sheets, double spaced, each paragraph on aseparate sheet, each page numbered separately. We then take these and rearrange them for sequence of thought. Page 1 may be moved to page 6; or page 9 may be page 1, etc. “We continue the study of our subject from time to time, adding copy, marking it ‘Insert 1,page?’ Our secretary then rewrites those pages with inserts. We then go over the copy once more, transpose one sentence from here to there, constantly briefing, cutting out superfluous words or duplicate thoughts, possibly eliminating entire sentences or paragraphs foreign to the central theme. “From time to time, during intervals between working on a certain lecture, we might be found reading, or checking on gold fish in pools of Clinic Gardens or aquaria in Clinic, or doing any one of a hundred other things here, there, or everywhere, during which one or a series of new ideas may flash. We hesitate, then and there, and make notes. This is kept up for days or weeks, at times getting so many inserts that it looks like a crazy-quilt patch job. We then have the lecture completely rewritten, inserting at proper places all late inserts; then by reading it entire we can see how it sounds or listens. Additional inserts continue until we feel the subject has been fully covered.We then lay it away to settle.“When it is finished, we have the secretary copy it once more, double-spaced, on loose leaf form for filing in one of the 150 volumes of lecture outlines, each of which is numbered. This lecture, under its title, is indexed in the Index Volume for quick selection at any time. Every lecturewe have ever given, from away back when, is builded around an outline and is filed as mentioned for future reference. This makes it possible to repeat most any lecture on most every subject on short notice Instead of beginning a new outline, we have one ready built. “Even then, days or weeks later, a new train of contributory thought may come. When it does, we write them in notes, be it at night in bed or at some other activity, then fill them in on typewriter, revise and rewrite until they represent new thoughts, rewriting pages into which they fit or overlap. If these inserts are of sufficient number to justify, we have all pages of the lecture outline renumbered so they follow each other. This prevents any getting out of order or misplaced. Often this process of renumbering pages may be done three or four times.“Keeping in mind the various topics we have lectured on and have outlines for, we often goback to one of years ago and add something. The listener hears in one hour the labor of possiblyhundreds of hours.“Often the comment has been made, ‘What a brilliant man. His talks are marvelous. I could listen to him all day.’ Little does the listener realize that the talk he listens to is not the product of the hour during its deliverance, it is the product of weeks, months, years in advance, even though he hears it all within one hour. “Every time a lecture is delivered, we see a part or parts which can be strengthened, others may be deleted. No lecture is ever finished. One talk (Selling Yourself ) has been delivered more than 5,000 times over the world before all kinds of audiences, cutting and fitting it to suit. It isn’t finished yet! “We have funeral orations, sermons from pulpits of churches. We have conducted schools on radio, Chiropractic, legislation, salesmanship, caves, migrations of races, national andinternational conventions in many foreign countries. In fact, the list is endless.“Criticism has been directed to the voluminousness of our talks. In writing, we endeavor to present a complete presentation, leaving no loop-holes. By presenting every fact, it cannot successfully be attacked.“Altogether, one lecture may represent scores or hundreds of hours from time of conception to laying it away to rest. That’s the process we use in building a lecture.” I’ve traveled planes, ships and sleepers with him, to and from endless conventions of various kinds when he was to speak. I’ve read, corrected proof, or discussed most every book,magazine article, or lecture to come from his prolific and versatile mind. He has written on most every subject one can conceive. He has 150 big volumes of lecture outlines—a lifetime’s work if nothing else were ever done—yet it was but one item amongst many in his life. He has written and printed an entire library and thousands of booklets and pamphlets. One wonders where he gets time for it all. He asks for criticism. He wants truth, and I always give it. He is not adverse to people who disagree with him. But he wants those differences to be based on logic and reason and to be sincere. I know the reasons “why he does what he does in the way he does it. B.J. is an early riser. Outside of the night shift around The P.S.C., he is always the first on the job. He has his breakfast at 6:00 A.M., lunch at 10:30, dinner at 4:30 P.M. And he goes to bed at 9:00P.M., regardless. If there is company at home, he will often say, “Let’s go to bed, our company wants to go home. He gets his first mail at 6:00 A.M., and it is answered at once. He then usually makes the rounds of inspection of his buildings, checking, seeing if all is right. He makes notes on what needs to be corrected or changed. As soon as the department head arrives, he calls him and reports what is to be done, and how. He knows his buildings, their equipment, their uses, intimately; and astounds his people with his understanding of what it is, what it does, and how. 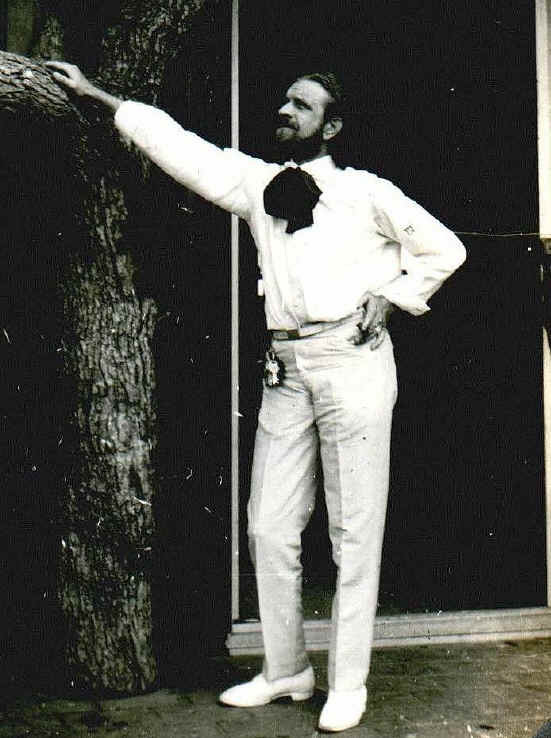 It has been frequently said:“If everything is running according to Hoyle, he is never around or makes comment; but let anything go wrong, he is on the job instantly.” He is called “Eagle Eye” by many because he sees details which frequently escape the eyes of the head of the department. I’ve seen this man completely reverse himself several times, evolutionize and revolutionize his processes of thinking, speaking, writing, and printing, as well as teaching, as he has climbed in the development of himself. Often this has been costly in friends and finances. He is always fearless, never afraid of consequences in so doing. He has often said, “The only excuse for any person to live is the development of self.” I have seen him change from a dogmatist, teaching a dogma in a dogmatic manner, in the days when such was necessary, to that of a scientist, teaching a science in a scientific manner. Such changes were brought about by the logic and reason of his indefatigable researches for better ways of doing better things, to accomplish more, with less effort, to save time, that he might take worse cases and get them well quicker at cheaper cost to patient. I’ve heard this man cussed and discussed, damned and praised, by friends and enemies. Hehas often said, “We have no lukewarm friends. They are either red-hot for us or ice-cold against us, depending upon whether or not they know what we are trying to accomplish. His mind does not deal with fol-de-rols or knick-knacks, fringes or useless details. He has a very analytical mind, what he calls “straight-line-thinking.” I know his faults—and he has them—as well as his virtues. He is a very human being, common, easy to approach if you have something worth while to say. He is sensitive to unjust, untrue, injustices. He does not deliberately hurt anyone, although often his pungent and terse answers are so construed. He will quickly brush aside anybody who pesters him with nonsense. An editor in a local newspaper stated that fat people are happier than other people. How does he know? Did he ever have to leave the top buttons of his shirt unfastened on account of his extra chins? Has the pressure from within against the waistband where the cell phone is located ever been so great in his case that he had to partially undress himself to make a call? Does he have to take the tailor’s word for it that his trousers need pressing? He does not. And that sort of a remark is only what might be expected from any person upward of seven feet tall and weighing about ninety-eight pounds with his heavy underwear on. I shall freely take his statements on the joys and ills of the thin. But when he undertakes to tell me that fat people are happier than thin people, it is only hearsay evidence with him and I decline to accept his statements unchallenged. He is going outside of his experience. He is, as you might say, no more than an innocent bystander. Whereas, I am a qualified authority. I will admit that at one stage of my life, I regarded fleshiness as a desirable asset. The incident came about in this way. There was a circus showing in our town and a number of us proposed to attend it. It was one of those one-ring, one dollar circuses that used to go about over the country, and it is my present recollection that all of us had funds laid by sufficient to buy tickets; but if we could procure admission in the regular way we felt it would be a sinful waste of money to pay our way in. With this idea in mind we went scouting round back of the main tent to a comparatively secluded spot, and there we found a place where the canvas side-wall lifted clear of the earth for a matter of four or five inches. We held an informal caucus to decide who should go first. The honor lay between two of us–between the present writer, who was reasonably skinny, and another boy, named Thompson, who was even skinnier. He won, as the saying is, on form. It was decided by practically a unanimous vote, he alone dissenting, that he should crawl under and see how the land lay inside. If everything was all right he would make it known by certain signals and we would then follow, one by one. Two of us lifted the canvas very gently and this Thompson boy started to wriggle under. He was about halfway in when–zip!–like a flash he bodily vanished. He was gone, leaving only the marks where his toes had gouged the soil. Startled, we looked at one another. There was something peculiar about this. Here was a boy who had started into a circus tent in a highly cautious manner, and then finished the trip with undue and sudden reckless haste. It was more than peculiar–it bordered upon the uncanny. It was sinister. Without a word having been spoken we decided to go away from there. At that period it seemed to me and to the Thompson boy, who was moved to speak feelingly on the subject, and in fact to all of us, that excessive slimness might have its drawbacks. Since that time several of us have had occasion to change our minds. With the passage of years we have fleshed out, and now we know better. The last time I saw the Thompson boy he was known as Excess-Baggage Thompson. His figure in profile suggested a man carrying a roll-top desk in his arms and his face looked like a face that had refused to jell and was about to run down on his clothes. He spoke longingly of the days of his youth and wondered if the shape of his knees had changed much since the last time he saw them. This thing of acquiring a tummy steals on one insidiously, like a thief in the night. You notice that you are plumping out a trifle and for the time being you feel a sort of small personal satisfaction in it. Your shirts fit you better. You love the slight strain upon the buttonholes. You admire the pleasant plunking sound suggestive of ripe watermelons when you pat yourself. Then a day comes when the autumn arrives and evening is at hand you take the dress-suit, which fit you so well, out of the closet where it has been hanging and undertake to back yourself into it. You are pained to learn that it is about three sizes too small. At first you are inclined to blame the suit for shrinking, but second thought convinces you that the fault lies elsewhere. It is you that have swollen, not the suit that has shrunk. The buttons that should adorn the front of the coat are now plainly visible from the rear. You buy another dress-suit and next fall you have out-grown that one too. You pant like a lizard when you run to catch a car. You cross your legs and have to hold the crossed one on with both hands to keep your stomach from shoving it off in space. After a while you quit crossing them and are content with dawdling yourself on your own lap. You are fat! Dog-gone it–you are fat! Of course you might diet in the same way that a woman diets. You know how a woman diets. She begins the day very resolutely, and if you are her husband you want to avoid irritating her or upsetting her, because hell hath no fury like a woman dieting. For breakfast she takes a swallow of coffee and half of a soda cracker. For luncheon she takes the other half of the cracker and leaves off the coffee. For dinner she orders everything on the menu except the date and the name of the proprietor. She does this in order to give her strength to go on with the treatment. In summary here’s a fat man’s analysis of a fat man’s diet. What you eat is what you’ll wear. 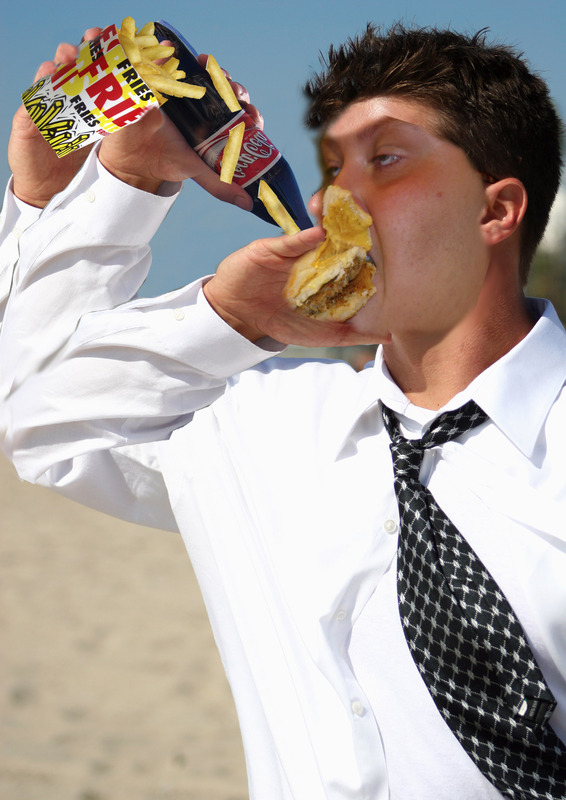 If you eat too many greasy foods, you’ll sweat grease. If you eat a lot of potatoes, you’ll look like Mr. Potato Head. Attending fast food restaurants means you will have fast fat accumulation. Drinking soda pop will kill you faster than cigarettes and if you have a soda and a cig five times a day to keep your energy up, you will die a slow death by consumption. Diabetes for some is only a meal away. Foods do have a cumulative effect and then one day you can’t believe your eyes, you’ve gained 30 lbs. in three months, you’re short of breath and the breath you have is foul.